Easily adjustable within the range shown. 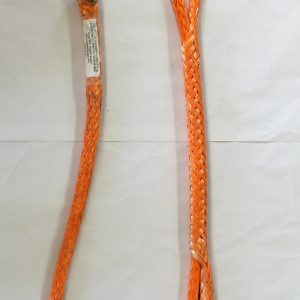 Arctic Wire Rope can make any High Performance Adjustable Rope Slings you need in a single or double leg configuration. 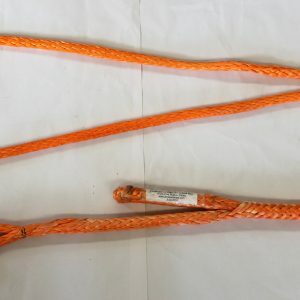 These slings are the best of many worlds, stronger than wire rope, yet will not kink or rotate under load. 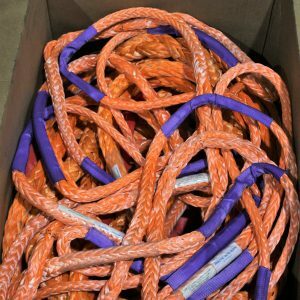 The leg length can be adjusted within a wide range, but are extremely light weight and can be coiled up into a tight space for storage or shipping. 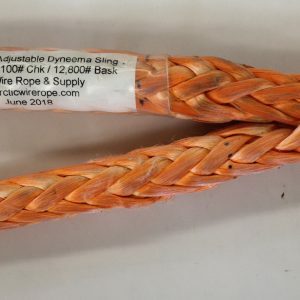 These are a strong and versatile new addition to the rigging world. Can be custom made to almost any length and adjust-ability. 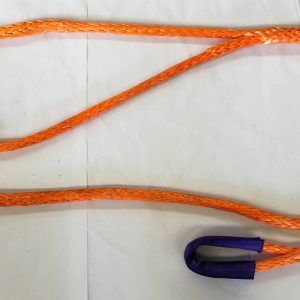 Just pull the rope either way in the splice to adjust the length, then pull on both ends of the splice to tighten and the sling will hold the rated load without slipping, it's that easy!